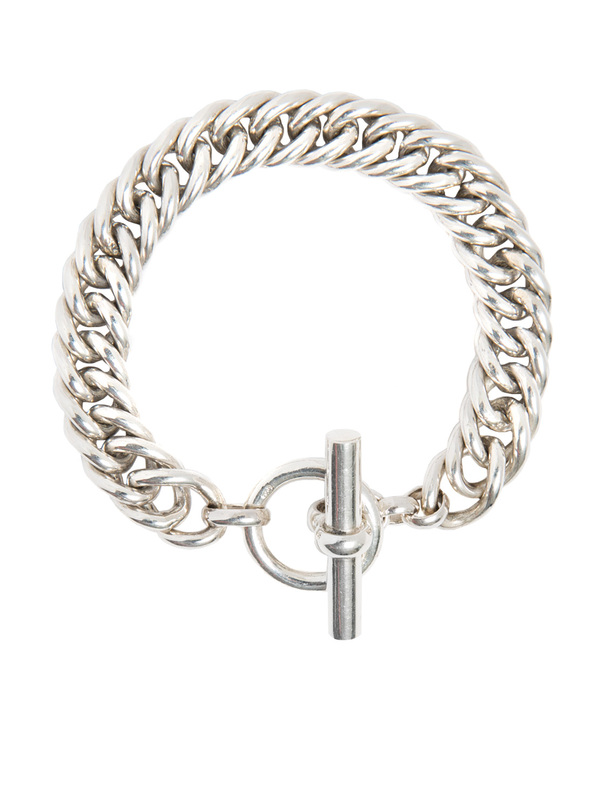 Serve up a bit of attitude and edge with this chunky sterling silver bracelet. It will induce total bracelet envy with its on trend oversized links and heavy T bar clasp. It weighs 63 grams and measures 19cm in length and 1.1cm in width.